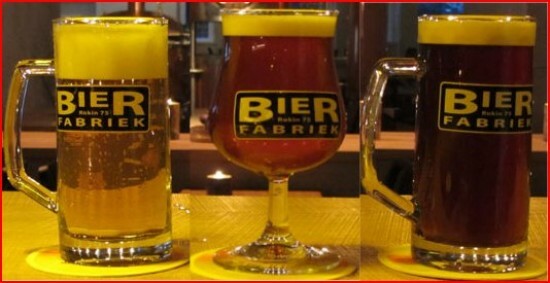 De Bierfabriek (The Beerfactory) is exactly what the name implies: Beer, beer and…… beer! The place is located a few steps from the Dam Square, on the Rokin. For now there is only a small terrace, but this is because the council of Amsterdam is working on the new subway system. 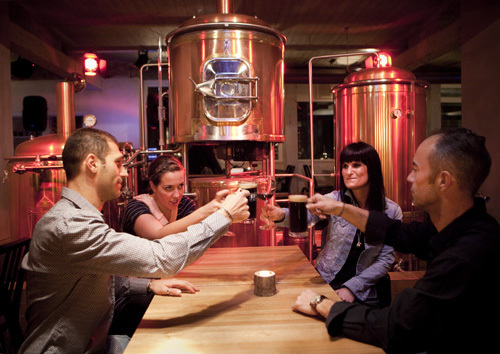 The jewel of the ‘Bierfabriek’ are the four tables, where you can have your own private pub. These are half round tables where you can sit with max. of 6 friends and have your own private tap with a 6 litres supply of cold beer (You can choose from a selection of 3 great beers:Rosso, Nero and Alfa Pure). 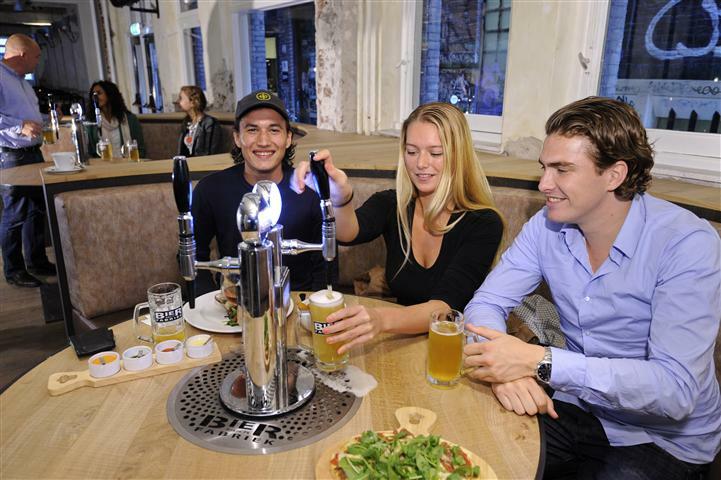 There is a meter on the tap, so you can see how much beer you drink (or waste by tapping them yourself). When finishing your 6 litres of beer and still up for another round, just ask the waitress and another 6 litres will be added to the tap and bill. In the back of the restaurant, there are ‘normal’ tables and a bar, where you can have a drink and order some nice fingerfood. There is one dish which you should really try: The fresh chicken is a complementary surprise in combination with the cold fresh self made beers straight out of the tap. Of course wines and spirits are served, but the speciality are the beers. 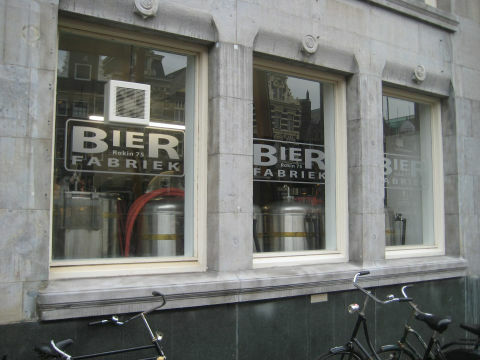 De Bierfabriek is a good way to start your evening with friends and drinks.